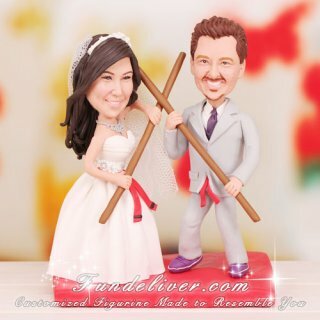 This is a completely customized Kung Fu theme wedding cake topper ordered by one of our customers. They would like the groom and bride to be dressed in their wedding outfits facing forward as if looking at their guests or into the crowd, but they are fighting each other with their staffs. The staff is one of the weapons that they train with and it is commonly used to do a monkey staff form. The groom is in a "cat stance" defending and the bride is attacking. Although they are in their wedding outfits, they still would like to be wearing their red belts at their waists with the knot in the middle which designates their rank of honorary brown belts and as instructors. The bride belt has a single black stripe at the ends of each side which has a particular meaning of taking one of their students from white belt through an entire rank. Love this Kung Fu theme cake topper? Have same passion for Kung Fu, Martial Arts or Karate? 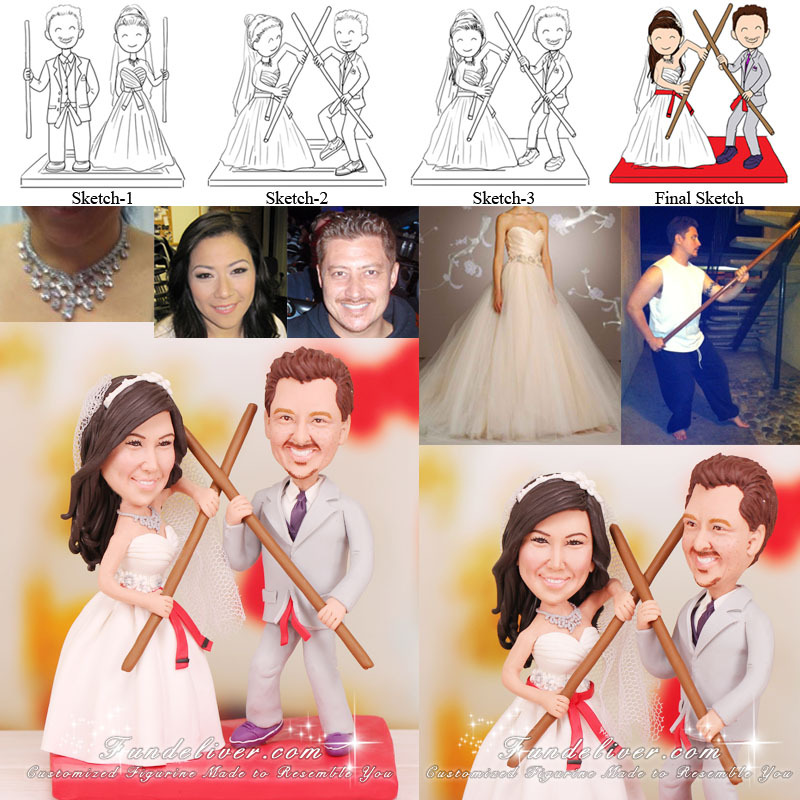 Why not get these interests involved in your wedding cake topper to reflect your passion or personality?